Based on his daily contacts with Aliens - ET Medical teams and other out of this world and dimension life-forms. Hundreds of medically unexplained cases. Soft cover, 422 pp. 5.5" x 8.5"
It was early in the evening. I had just arrived home from the Israeli army base and collapsed exhausted on my bed. Lying for a time somewhere between deep sleep and consciousness, I suddenly felt as if an ice-cold hand had touched my knee. I opened my eyes, but there was no one in the room. In fact, other than my parents who had already gone to bed, there was no one in the house. Then I clearly heard a voice in my head. It was a familiar voice and, speaking in Romanian, it said, “Take care of my children.” I felt the hair rise on my arms and the chill of goose bumps as I realized it was the voice of my aunt who had passed away a few months earlier. The next incident occurred years later, after a transition from a bachelor's life as a soldier to a husband's life as a student of electrical engineering. I was lying down to rest next to my wife and, as I lay there with my eyes closed, I felt the unmistakable presence of someone else in the room. The feeling intensified until it became clear the presence was that of my grandfather, who had been deceased for a few months. He expressed his wish to read the newspaper. One sunny Saturday morning, I was happily composing graphics software on my PC. My wife and two children were still asleep. I suddenly felt as though I’d sensed someone else’s feelings, who was very pleased with what I was doing. This experience was quite strange and I wondered what triggered the feeling. I had a growing sense that someone was standing behind me; I turned around to look, but no one was there. At the same time, a face began to take shape in my mind. I could see only the bottom half of the image at first. Judging from the lines and wrinkles, it seemed to be the face of an elderly woman and someone I had never seen before. This time I decided to try and communicate with whatever or whoever was contacting me. I formed a question in my mind: “What’s your name?” “Olga,” came the answer even before the question was completely formed. “How old are you?” I asked. “86,” came the quick reply. “Where are you from?” As I asked that question, it suddenly occurred to me that I was communicating with a ghost. In fright, I cut off communication. Life—the development of complex biological systems that reproduce themselves—is the most wondrous occurrence in the universe. An additional, wondrous event occurring in the universe is the development of consciousness—that is, the being conscious of itself and of its surroundings. These are the two wonders of creation and for these wonders our gratitude goes to a higher power, which we know as God. The mathematical probability of these two events occurring together approaches zero, and yet it has occurred. To our surprise, it has not occurred once, but many, many times and it continues to occur today; evidently, it will continue to occur in the future—the development of new life forms that reproduce themselves and the concurrent development within these life forms of conscious thought. Intelligent life takes diverse forms across many different types of matter. Some of them are unknown to us even though our researchers are engaged in unceasing efforts to discover and study new life forms, which are encountered all the time throughout the infinite space of the universe. Your planet is one of the sources of life that we have discovered and currently are studying. Beyond pure scientific research, we also provide assistance to developing civilizations that we believe are deserving of our help. Some cultures move in a negative direction toward self-destruction, representing a danger to themselves and to other cultures; we do not assist such civilizations. On the other hand, to civilizations with a potential for development on the path of Light, that is, positive development, we give many forms of assistance. Our aim is to help these developing civilizations to achieve, as quickly as possible, a stable state of existence that will ensure them long-term continued existence without danger of extinction. In other words, we help them toward accelerated technological development. The process of providing aid starts with an in-depth study of the civilization in order to ascertain whether or not our assistance is warranted. If we decide to provide assistance, we then decide on the best way to assist. This study of the civilization is very broad in scope and conducted in cooperation with interplanetary organizations—organizations that bring together a huge diversity of life forms from tens of millions of populated planets that represent the cultured life of the universe, life forms with consciousness. We want you to be aware of the importance of your work with us on a worldwide scale, regarding your own planet, and an interplanetary scale. You are part of a great effort. Medical treatment is only one element in the efforts to motivate human beings to come into contact with us. Without medical treatment, we surmise that the points of contact between us and humans would be minimal. One of the aims of treatment is to learn about the nature of human biological and psychological systems through case studies of patients. At the same time, we are continually learning how to treat humans and improving our methods and techniques. You no doubt have noticed the wide range of aliens that have been taking part in the medical teams. These teams frequently are replaced by new teams to allow a greater number of life forms to come into contact with humans. 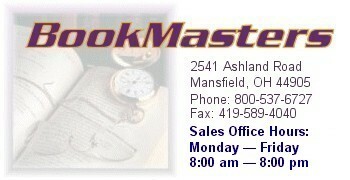 The more contact we have, the more we can come closer to you and offer our help. It could be said that most of the planets taking part in this effort are in the stages of initial evaluation. Each planet is entitled to decide for itself whether it wants to be part of the efforts to help the planet Earth or not, or any other developing planet anywhere in the universe. Therefore, each planet must gather its own information and form its own impression. The treatment encounters conducted through you allow this to take place. We would like you to know one more thing: We are pleased with your activities. The various researchers have all given positive reports, which increases the possibility that more and more planets will take part in helping Earth. We wanted you to be aware of the importance of the work you are doing. Born in Rumania in 1958, Dvir holds a B.Sc in Engineering and an M.Sc in Computer Engineering, specializing in computer architectures. Married with two children and living in Israel since 1965, Dvir develops military computer systems at a major Israeli communications company. He first acknowledged and began to use his abilities as a medium in 1992, and became aware of alien other-dimensional beings in 1994. A compelling personal account of contact with other-dimensional and alien beings, the book’s first appearance in Israel in 1998 stimulated a flurry of excitement and media interest. With interest steadily growing, the book is in its fourth printing in Hebrew (its original language) and its second printing in English. It has been published in Romanian and is soon to appear in other languages. The popularity of his website is further evidence of Dvir’s growing international recognition as an expert on alien contact. Adrian Dvir has appeared on numerous ISRAEL TV talk shows, radio interviews and has been the subject of many articles in major newspapers and magazines. 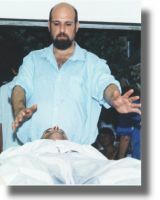 His lectures and demonstration healing sessions have left audiences spellbound, believers and skeptics alike. Jack Cohen, 73, a famouse actor in ISRAEL, suffered from knee problem and was treated by the Aliens. 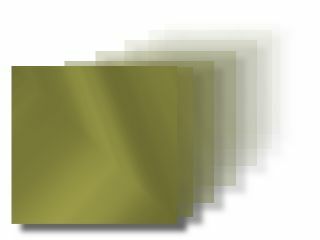 During shots, on Nov 18, 2002, colorful unexplained artifact appeared on his face, hands and shirt and nowhere else in the frame. The movie production specialists found no explanation to this phenomena. The Aliens claimed they did an experiment with three scanning LAZER in the far IR - Infra Red twice the intensity of sun rays that cause camera sensor to saturate and produce these colors. “I’d been reading for three days, not being able to concentrate on anything else. Although I had considered myself to be an open-minded person… the book… left me stunned. I felt that my life would never be the same again. I didn’t doubt a word in this extraordinary narrative, no matter how fantastic some information in it might seem…The sensations I felt in Adrian’s special room were beyond anything I’ve ever experienced before. The extraterrestrial visitors claim that their ultimate goal is to help humanity and with all my heart I believe that this is really so - doesn’t our beautiful and polluted planet really need help? It strikes me how significant the information given in the book is for us humans. It’s not fair to conceal it from millions of intelligent people. I admire Adrian’s courage and determination to tell the unsuspecting world what’s going on under our own noses. 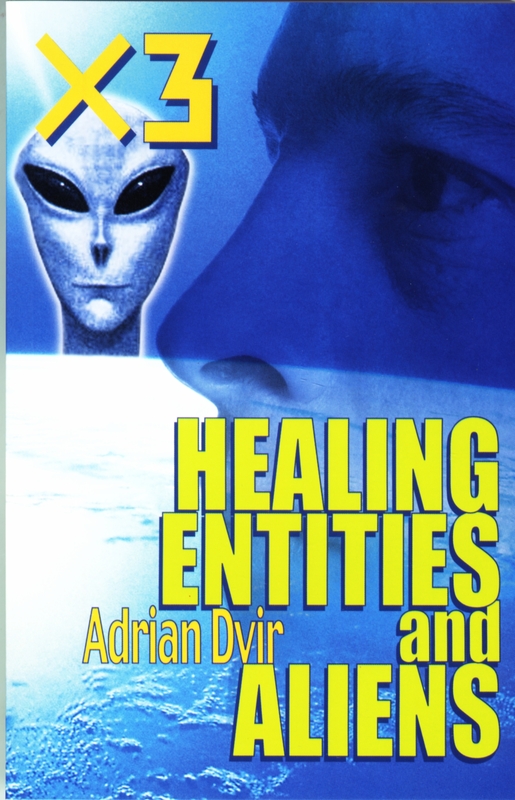 This is Dvir’s second book continuing his account of his work as a healer aided by aliens, whose aim is to study and benefit mankind. Thanks to Dvir’s courageous openness in discussing his experiences, a growing number of people with similar interests and experiences have come forward. Dvir’s second book documents his contacts with some of them and recounts the expanding number of alien-aided clinics. 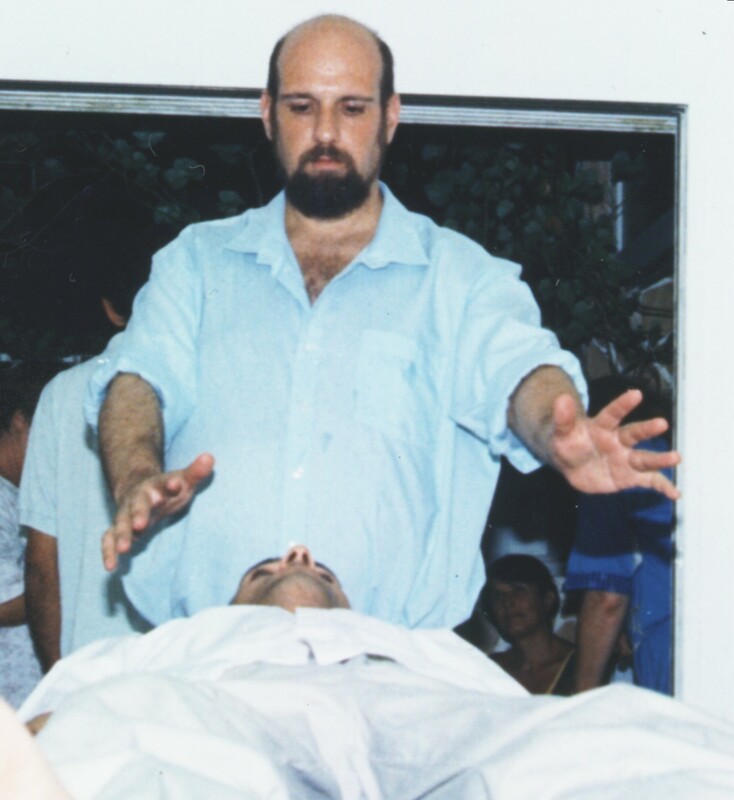 Today, in Israel alone, there are over 50 such clinics currently seen as one of the most effective means of alternative medicine available. 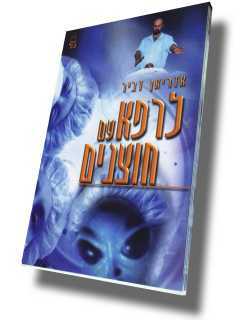 First published in Hebrew by Gal Publishing Ltd., 2001, the book is soon to appear in English. Adrian Dvir is currently working on his third book.